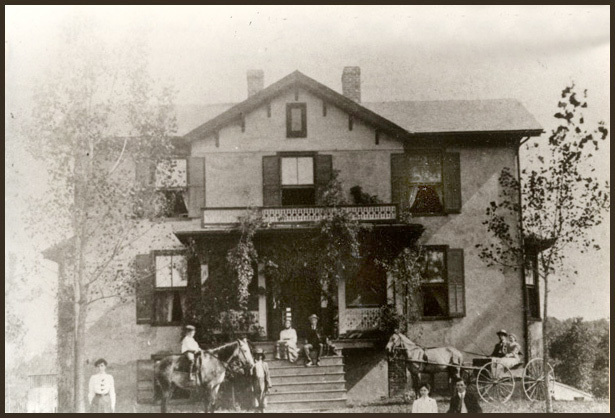 In the above 1904 photograph, Charles Bascom Harris, Sr., and his wife, Helen, sit on the front steps of Fairview. Standing by the tree to their right is Annie 'Parke' Harris, their oldest daughter, and behind her on horseback is Henry Miletus Harris. Seated on the ground to the left of the steps are Marjorie and Francis Harris. In the wagon sit Helen Harris and her uncle, Henry H. G. Harris, whose nieces and nephews fondly called 'Nunk' (short for 'Uncle'). Henry Milletus Harris, son of C.B. 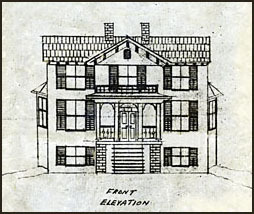 Harris, Sr., sketched this drawing of Fairview from memory when he was in his 70's. Both the Burgess photo and this drawing are part of the Katherine Ellis collection. 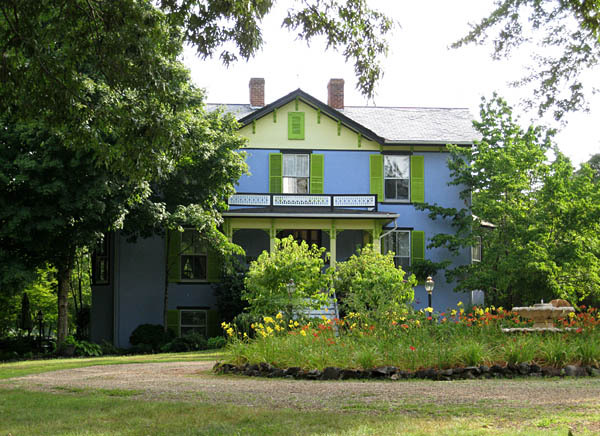 Katherine resides in Scottsville and is the granddaughter of Charles Bascom Harris, Sr., and Helen (Crafton) Harris.